The magic happens as you walk into North Bay Marijuana! You'll find friendly, compassionate and medically-certified staff, and a wide array of products: *Flower *Edibles *Tinctures *Concentrates* Oils*CBD Patches *CBD Capsules *Topicals *Glass *Quenchers* New items arrive daily! North Bay Marijuana features the gentlest of prices and there is always a Deal! 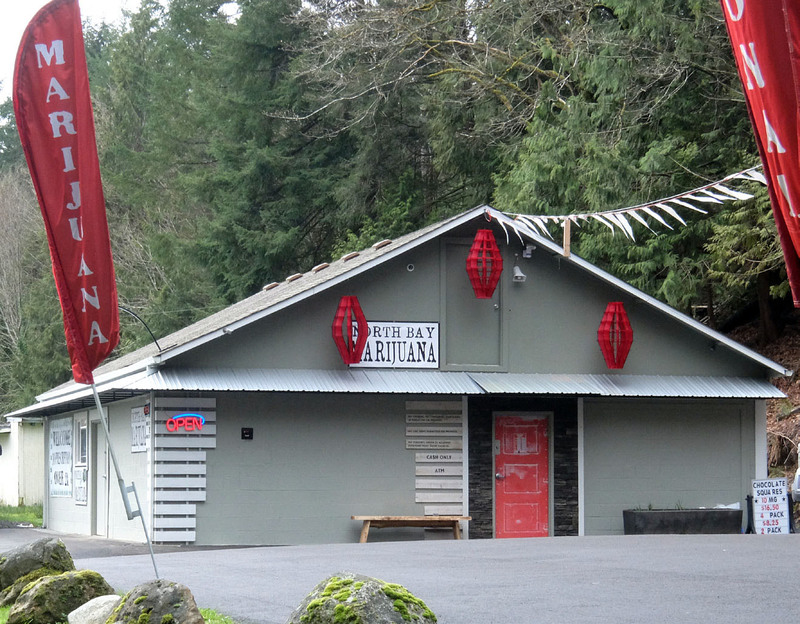 North Bay Marijuana is located in Allyn, only 4.2-oh miles from Belfair, WA, off Hwy 3 (next to Ornamental Stone), with a scenic, water view setting. FREE and easy parking. Must be 21+ or be a medical patient with a WA State medical recommendation card. ATM on site. This quaint shop is open 9a-9p every day. Prices are good and they are very friendly. Nice discrete local. It was okay. Definitely better ones in the county but staff is nice and helpful. Location is good too but their prices seemed higher than others. This place is the best so far. Great prices, awesome helpful staff and great selection. Prices are really awesome and I can say that with confidence since I shop around. I thought I would help them out with a review since they are newly opened and so awesome. Best prices and cool location. Great selection of edibles too! Very convenient. More friendly and personable than you would expect. Hands down the best prices, most helpful people. They do it because they care about us, they want nobody to suffer. They were very nice to me. I haven't bought marijuana in over 30 years. I have never bought it legally. I am a senior citizen and felt like a kid, kind of nervous, very excited. I bought a joint and an edible thing. I enjoyed them both. I will go back. They made it very enjoyable. They call the sales person a "bud tender". Thanks. Excellent customer service with great prices too!